I had a nice surprise in my office mailbox the other day, a CD of a live performance of a song made by Barb Heller from one of my poems, “The Family Plot,” recorded at Pickens Hall in Heuvelton, NY on May 20, 2016. 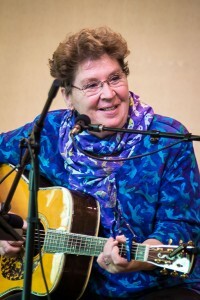 The song is performed twice, once by Barb accompanying herself on guitar, and once in an acappella choral arrangement by Paul Siskind, who directs The Any Music Singers. The poem has a back story that reaches into my childhood, when I was taking census of graves in cemeteries across the North Country as a project for Yorker Club in middle school. Artist Paul Davison with his Five Rivers offering to the Raquette River. My incised haiku reads: All through Stone Valley / snowmelt hammers sandstone flat. / Where does my rage go? 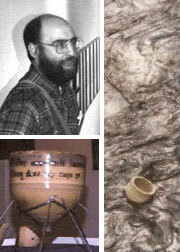 The middle chapters of the story include a collaboration with artist Paul Davison in the late 1970s, where we were creating mixed media works that would be given as votive offerings to the five rivers: St. Lawrence, Oswegatchie, Grasse, Raquette and St. Regis. or was lost beneath its grasses. for my midnight ferry over. for my weary feet to follow. home I came and stayed to claim her. ’til they join us come hereafter. 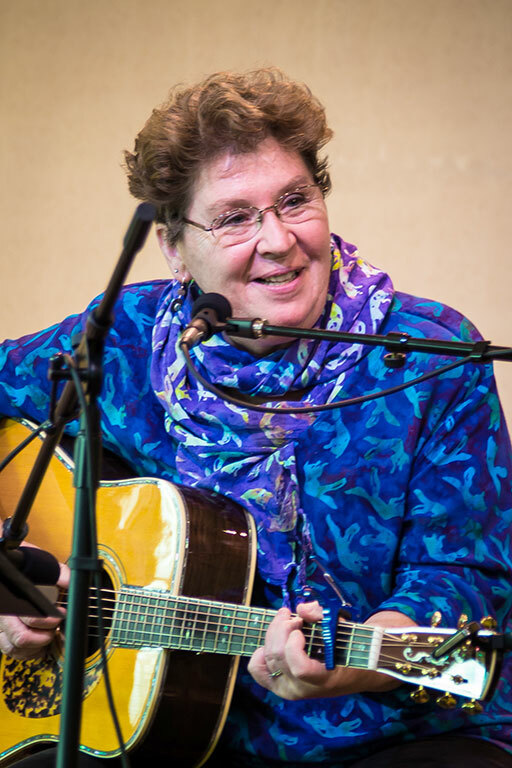 Some decades later, my colleague and friend at North Country Public Radio, Barb Heller, was going to a songwriting workshop and was looking for lyrical material to work with. This poem being one of very few that I had written in anything resembling formal structure, I pitched it up, and she knocked it out of the park. Then, another decade later, when Paul Siskind was looking for lyrical works by local artists that could become the basis for a choral concert by his group, The Any Music Singers, the melody and lyric were ready to hand. It all came together for two performances in 2016, one in the lovingly-restored Pickens Hall in Heuvelton, and another on the campus of St. Lawrence University in Canton, NY. I actually don’t read this poem any more at my sporadic public appearances. Thanks to Barb and Paul and the Any Music Singers, it has to be sung now, and I’m not safe to hear except in the shower.